the right sized kitchen? Most Pinned For Sure! 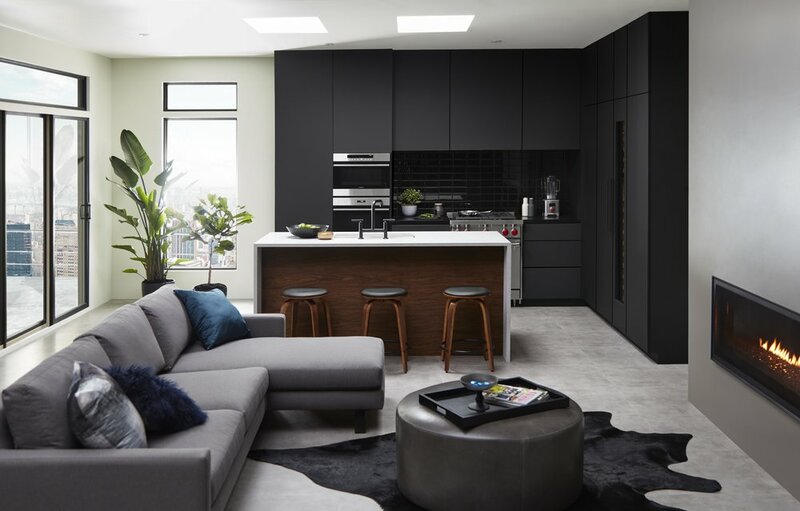 This kitchen, created originally to showcase Sub-Zero/Wolf appliances, became a showpiece for multiple brands, including Marvin Windows, Northern Contours, Interceramic, Ceasarstone, Kohler and Asko. The resulting images are perfect examples of well-integrated editorial product photography that’s on-trend and created with multiple brand views. A single set allowed us to feature appliances, surfaces and windows. The companies we showcased gained value not just by co-oping the set and getting hero product images—they shared the photo and tagged and talked about each other on social media.